Learn the truth behind the swashbuckling swordplay of the Renaissance! By the later 16th century the two-handed longsword had been replaced by the elegant and deadly rapier as the principal weapon of the trained swordsman. Only once this weapon had been mastered was the use of companion arms taught, occasionally followed by the older polearms and two-handed sword. Although the rapier has come to symbolize the era, the older, military sword continued to be used throughout the same period in an elegant, cut-and-thrust style learned by soldiers and civilian fencers alike. 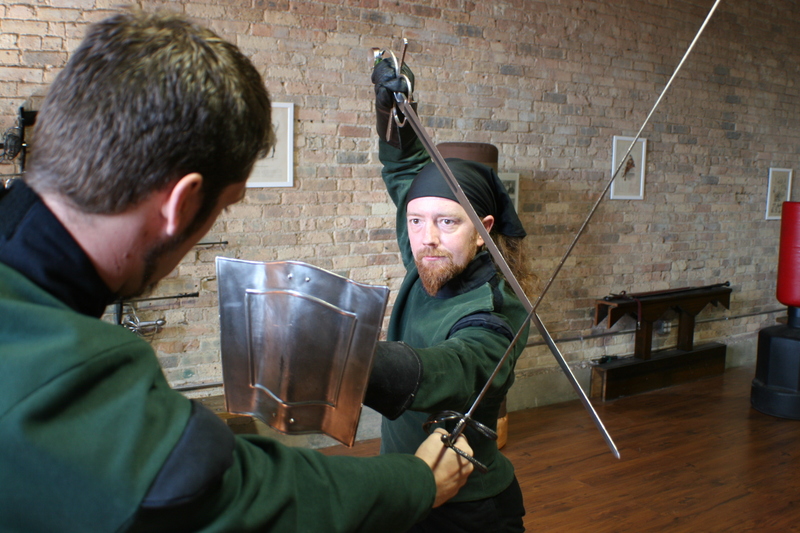 Your training begins with the rapier and then adds the use of the older, cutting sword. 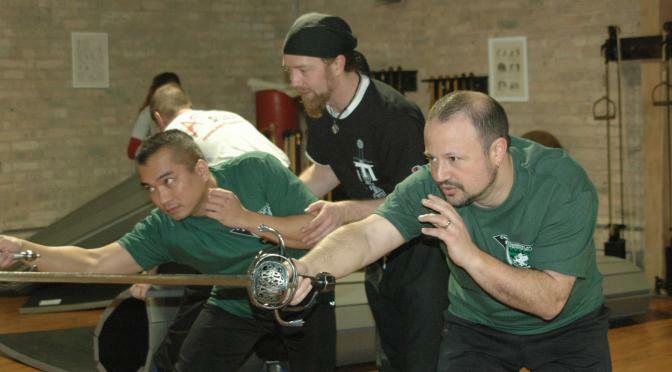 Together, these two weapons form the foundation of an extensive curriculum derived from the teachings of the 16th and 17th century masters of defense that pairs the sword with the shield, dagger and cloak, and also includes knife-fighting and unarmed knife defense. 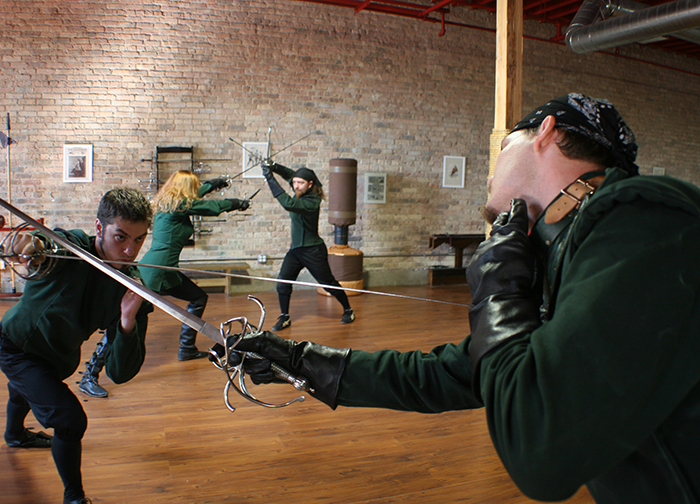 Forteza is the home studio of the Chicago Swordplay Guild, an internationally renowned organization that offers two distinct tracks of historical fighting arts from Medieval and Renaissance Italy (1350 – 1650). Ranking is based on a traditional system of licensing used by fighting guilds found throughout late medieval Europe. Is the Renaissance Swordplay Program right for me? Mastery is difficult, but beginning is easy! Just enroll in our Taste of the Renaissance introductory class and let your journey begin.